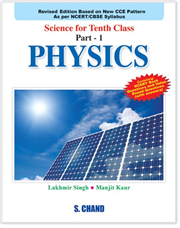 Lakhmir Singh has extensive experience teaching science subjects, and has written many books on the three main branches of science – physics, chemistry and biology. He graduated with a Physics (Honours) degree from the Hindu College, and later obtained an M.Sc from Delhi University. Lakhmir Singh began his teaching career as a lecturer in Dyal Singh College of the University of Delhi. Later, he became a Reader at that college. Manjit Kaur has been a school teacher for several years, and she has co-authored many science books. She graduated with a B.Sc from Miranda House, Delhi University, and later obtained a B.Ed from Delhi University. This book is published by S Chand & Company – New Delhi.